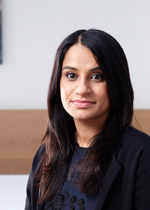 Faiza joined PHF in September 2016. She was previously leading a national citizen engagement programme, working with NHS England to bolster citizen voice at Board level. Before that, Faiza was Deputy Chief Executive and Director of Policy and Communications at the National Council for Voluntary Youth Services, supporting the largest network of youth organisations in the country to advocate for better outcomes for children and young people. She has been a strategic partner to a number government departments, a Trustee for End Child Poverty and has supported many non-for-profit organisations to advance their policy and communications strategies. She is also a member of the Big Lottery Fund’s UK Portfolio Funding Panel. In 2014, Faiza received an MBE for services to young people.